Those affected by design should have a say in the design process. This was the tenet of participatory design in Scandinavia in the 1960s, which sought to involve workers in the design of workplace information systems previously controlled exclusively by management. In a similar way, but separated by several decades, public services such as healthcare are now acknowledging that for far too long, the design of services has been controlled by providers, with limited involvement from users, particularly those from marginalized groups who, arguably need services the most. Failure to acknowledge the role of power and politics in design often leads to bad experiences and outcomes for users, and perpetuates social inequality. In this talk, I will discuss the opportunities and challenges for participatory design in the contemporary context. This will be illustrated through several exciting projects undertaken by UHN OpenLab, a multi-disciplinary design and innovation shop located at the University Health Network, Canada’s largest research hospital. 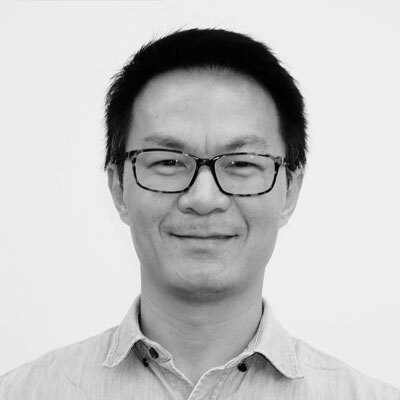 Tai Huynh is Creative Director at OpenLab at the University Health Network, Canada’s largest research hospital. He works with an inter-disciplinary team to come up with creative solutions that improve the way healthcare is delivered and experienced. He is also the Editor-in-Chief of TheLocal.TO, a multimedia magazine about the health of Toronto’s neighbourhoods. In addition, Tai is co-founder and campaign director of Choosing Wisely Canada, a campaign to help clinicians and patients engage in conversations about unnecessary tests and treatments. He was previously at the Ontario Ministry of Health and Long-Term Care as Director of the Excellent Care for All strategy. Tai has a Master of Design from OCAD University and an MBA from York University.